I’m writing this from a Starbucks, drinking tea of course, after having met up with a new-found friend whose show I am to see at the Soho theatre tonight. This morning I went to work by Tube, instead of bicycle because I had to go out after. Today was a half-day (to theoretically accommodate the writing-dream) but really is there such a thing as a half-day; by midday I had resigned myself to the workload and went for lunch (mistakenly getting an egg-noodle broth instead of rice noodles, the latter being superior, as we all know) before staying two more hours trying to get stuff done. When I walked out of the office, I made my way to Soho. Walked past the squares with their stately homes and houses, the tea rooms, the theatres, the cinemas, the cocktail bars. I bought an ice cream, in my favourite place where they don’t use scoops but turn your flavour choices into ice cream roses. I sat outside and watched the world go by: lovers, colleagues, tourists making their way over the cobble stones. Friday afternoon, early evening giddiness in the air. Hotel terraces are packed with wine-drinking ladies in power-dresses, men with the top button of their collar undone: the relaxation and expectation of the weekend. Called a friend to see if she was interested in joining me for the performance but she had plans but pointed me in the direction of someone else who might be interested before inviting me to a party later tonight. We agreed to stay in touch and play it by ear. One text message later and I got myself some company to see the show. I made my way to our meeting place, an Italian coffee bar; checked Facebook on my phone and saw he was running late. Ordered an amazing coffee and sat down to write a postcard. Sipping my amazing coffee, I sat by the window by myself: once again looking at the people passing by. My new friend arrived and we moved because the music was too loud to talk. When we sat down, we spoke about performing, about writing, about creativity and parental expectations. We talked about siblings, about travel, about feedback, about the importance of deadlines and moving on. He has left to prepare for his show and the barrista tells me that they don’t close til 10pm. So I stay and wait, I stay and write, I stay and marvel at my London life. After a month’s break from this blog and running ( 26.2miles really was a long run…) I break the silence as an urgent matter has exposed itself. During these lovely summerdays (yes, I am making a note of this in case I ever look back on my London years and remember them drenched in rain…) I have been taking my bike to work. I am very lucky because most of my route to the office runs in fact past the canal and is not shared with cars. It is however shared with pedestrians, kids on scooters, dog-walkers, wheelchair-riders and canal pub drinkers. The sound it makes isn’t very loud but when travelling down a quite road or say, hey crazy example canal towpath, it would be ideal. Now over the last few weeks, I have noted with great astonishment that the average Londoner does not know how to operate the bell. 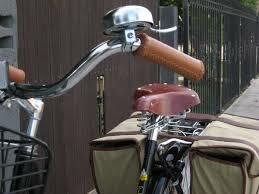 So here a short essay on The Correct Utilisation of the Bicycle Bell. The purpose of the bell. 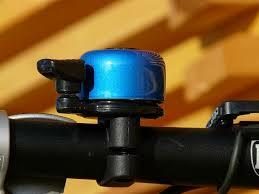 The classic purpose of the bicycle bell is to let other roadusers know you are there and you want to over-take them. Note: this is over-take, not under-take! If we ride on the right, you over-take on the left, if we ride on the left, over-take on the right. Road rules still apply when you are a cyclist! If you ring the bell I move further left to let you pass – if you try to undertake me, we might both end up in the canal and nobody is a winner. The adapted purpose of the bell around the towpath is to let people know you are about to go underneath a bridge. Especially if the bridge is on a corner, it is hard to see if there is oncoming traffic and the path is narrow. Cyclists, this might surprise you but BOTH sides use this method! Which means: you don’t only ring your bell like mad while you speed around the corner, you have to listen for other bells. If it sounds ‘echoey’ – you know, like a sound made underneath a bridge – then for the love of God, WAIT before proceeding to cycle on. We might collide, both end up in the canal and nobody is a winner. A) Ring the bell when you are right behind her, so you all get in a panic and a fluster trying to coordinate dog, lead and bike. B) Ring the bell as you spot her, so she has time to move. C) Not ring your bell at all because you don’t want to cause a fuss, even though this mean you nearly ride over her dog and scare her into the water. A and C are remarkably common… So in conclusion: dear London cyclists, if you feel very British and shy about using your bike-bell, try saying ‘thank you’ when someone moves over. That should balance things out. Last week, I had the pleasure to attend two Open Forum discussions on inclusion in theatre: the first one was the D&D by Improbable on the inclusion of race and diversity and the second discussion was held by Tamasha, after their scratch night to address the gender-imbalance on stage: and dealt with the question how to create more permanent change in the theatre to include women. Dear Reader, I can feel half of you switching off here: please don’t. I promise you this won’t be a political feminist rant. In fact, this is exactly what this blog is about, that feeling of “Yeah, yeah I know but do we have to make such a song and dance about it? Do we have to talk about it, can’t we just do it?” Last week, I met people who would answer/scream: “No, we can’t because they won’t let us!” We being defined here by the minority discussed and They by the powers-that-be. I am still not sure where I stand on this: I have only relatively recently joined the theatre forces and so I am not convinced yet that my current lack of published plays is an oppression issue – I would like to think that I just need more time to hone the craft. Also, I had a very happy childhood, thank you very much mum and dad, and I don’t feel the passion/anger that comes from feeling wronged. However, I am also a woman of ethnic minority trying to craft in Western theatre and I cannot deny that I do not see a lot of us working in ‘the industry’. This is just a cold, hard fact. One can argue that the minorities are just not available but here is another fact: I am here and though not many, others are with me. Even if not all of us have had the experiences that let us fight with the conviction, volume and the vigour as some can; when asked, we have to – at the very least – silence the thrice-crowing cockerel, and step up. For that reason (and this is the point of this whole essay – thanks for bearing with me), when I was asked by Banana Writers to contribute a piece about our company Papergang Theatre, a new writing platform for British East Asians, I couldn’t say no. It is very daunting to share this with you, as I feel that there are more eloquent voices out there and for whom I have a lot of admiration. Yet if I am to scared to do it, how can I even dare to suggest others have a valid voice that deserves to be heard? There is an ongoing joke among some of my friends: ‘the cake without passion’. Years ago, mere second year students in a picturesque seaside town, my friends and I had decided to spend the day baking a cake. Yet after a day of hanging out and shopping, no one really felt like it and so to my horror, the act that should have been enjoyable was rushed as a chore. Noticing my upset, my friends enquired what the problem was and I cried out: “The cake has no passion in it!” Cue bemused faces and years of teasing reminders. Last Tuesday, whilst preparing for our first writing workshop, I had to think of this. The couple of days before had been stressful and though by Tuesday morning, the feeling of physical nausea had shrunk to mere nervousness: I still had to fill the hours until the start of the workshop. I decided to make a cake and picked a recipe that was easy but hopefully liked by the majority: lemon drizzle cake. I shopped for the ingredients and was even given a discount on the lemons by my local greengrocer. Washing the lemons and grating the rind, I wished that everyone would turn up. While I was beating the butter and sugar together, I wished that our workshop would fit their objectives. Cracking the eggs, whisking them in one by one, I wished that everyone would be open-minded and kind to us and each other. Sifting the flour into the mixture, I wished that my friend and I would work well together as facilitators. 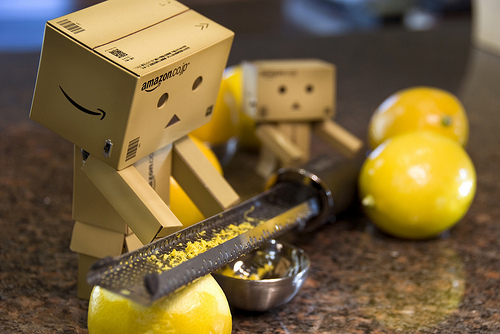 Stirring in the zest and lemon juice, I wished that everyone would enjoy the experience. Pouring the batter into the tin, I wished that this first workshop would be the start of something exciting. Leaving it to the very last minute, I pulled the cake out of the oven again: skewer came out dry – just. Wrapping the cake in a clean cloth and a plastic bag, I ran for the bus. Once on my way, I looked out of the window and watched the never-ending bustle of London; holding the warm cake in my lap, I knew that it might not be perfect but it would be alright. Not even on the most comfortable or prettiest chair but on the most convenient one; at 30, everyone sits down and holds on for dear life. Yes, as we enter month two of year 30, it’s possible that the one person still dancing in the room might well be me. I’m not sure what happened to my track but I seem to be playing the Baz Luhrmann extended version. Still bopping away, while my friends happily wave their baby’s hand to me (hand still attached to the child, of course!) from their comfy seats. Those moments are still unreal to me, the idea of a third person where there first were two. At times I get tired of dancing and I envy my friends happily stretched out on the faux-leather sofa but you can’t stop until the music stops – those are the rules! 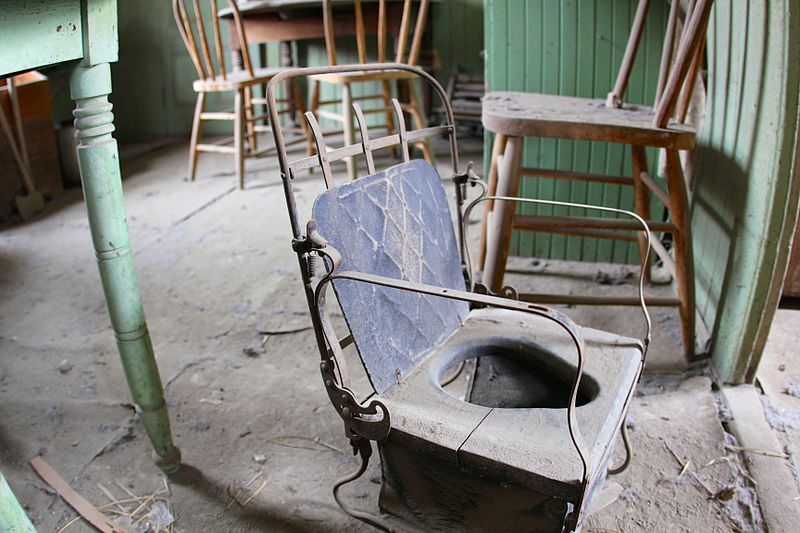 As for settling for the wonky old kitchen stool for one: never. Though tempting at times, even I can see in my weariness that it will only be a temporary comfort until it breaks. Running with my head aka Counting to 21. I can pretty much guarantee you this will be the mantra for the first few minutes of the run. Although the surge of people will push me forward as soon as we start running, the waiting around makes me so paranoid I will think I need the toilet. I don’t. 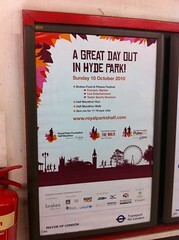 All those men who stop after the first few miles to relieve themselves against a tree: A) Really? B) Just keep running, it will pass. The first few K’s my feet are cramping up and it’s annoying to the point of “I HATE RUNNING I AM GOING TO STOP NOW” but I never do. I just hate myself, quietly in my head . My body is all over the place, bystanders shake their heads at this pathetic version of Bambi on ice and suddenly… cramp subsides and my field of vision opens up. Bam, first barrier gone. My body has now resigned itself. I can start adjusting myself, get the breathing right, tighten the core. Run on the ball of my feet, get the rhythm right. I can look around me, appreciate other my fellow-man: smile at cute babies and dogs, nod at other runners. When I get too distracted, I refocus on my breathing and pace. I’ll try to find a chaser but this is pretty tricky, rule of thumb: Wobble gives you trouble. The best runners to follow, are steady pace, straight back. They might be ruthless, they might be boring, but hell, they can keep a steady pace to pull you through the hard bits. … around 12K: Everything will go so easy, runner’s high kicks in. I will go several K’s not even thinking about things. I Am Running. I AM RUNNING! SEE ME RUN! There is fluidity in everything, I will try to hold onto this as long as I can… This is why I run: to feel my body do this. Slowly slowly, steam will run out. I am trying hard to keep pace (if I still follow a person this is the moment I find out if I chosen the right one) I am getting tired. If there is a niggle somewhere – a sock not quite pulled right, back muscle nagging, T-shirt chaffing, an itch on a toe – this is when I will feel it. All. The. Time. I am tired and more and more uncomfortable. That is right, to distract myself I will think of you, dear Reader. I will think of the people who would want me to keep running, I will think of the people who I’d want to keep on running. One by one, friends from different times and different places, members of my diaspora family will pop up. Either they are suddenly running with me, I see them waving or I imagine them at the end of the race. When I am too tired to even count the mileage signs and dodge the crappy people who stop in the middle of the road, I will see your faces and keep going. One kilometer ( bit less than a mile) is pretty long when you have just done 20. Yet the further you get towards the finish, the more actual people are shouting and waving (not just the ones in my head). This is amazing. It is a crazy wonderful emotional feeling. It’s a feeling though because if you are actually there waving, I probably won’t see you. All my strength is now focussed on the finish line, on keeping pace, on the finish line, on ‘can I go a little faster’, on the finish line, on ‘let’s not speed up too soon’, on the finish line, on ‘damn that is still further than I thought’, on the finish line, on ‘ok let’s do it – now’ , on the finish line…. On The Finish Line.